Can you believe Thanksgiving is in two weeks?! I feel like each year goes by faster than the previous. Today I'm following up with my fall tablescape. If you missed Mallory's you can read about hers here. This year I opted for a more muted look of light greens and whites. I had scored all of the velvet green pumpkins, the mini ceramic pumpkins, and the vases at Target's dollar section. The vases were $5 each! The white pumpkins I found at Joann's. I incorporated a couple air plants that I have. One of them is fake. Can you tell which one? And the big mama in the center I picked up at our local farmer's market. Setting a formal table for the holidays isn't really feasible for us. We host our large extended family, which requires us to squeeze in as many people around the table. To be real, each year I just do a centerpiece down the table and keep the rest casual. However, if setting a formal table was an option for us than I would set the table with these pretty items below. Click on the images to be taken to the product's page. With the holiday season upon us, many of you will have out of town guest staying the night. To help your visitors feel comfortable, here are a eight essentials to creating an inviting guest room. Ensure that the pillows and mattress are comfortable. You do not want your guest getting up the next day soar from a poor night's sleep. A memory foam mattress pad can make the stiffest of beds more comfortable. If possible offer two types of pillows. One soft and the other slightly firmer, since everyone has different preferences. You would think this goes with out saying but I have experienced staying in a guest room that had remains from the previous guest on the sheets. It was gross and uncomfortable to say the least. Everyone appreciates crawling into a clean bed at the end of the day. Otherwise, your guests will feel like they are intruding on your personal space. Have a few hangers in the closet for your guest to hang their clothes. A couple of empty drawers is nice too. Especially, for those that are staying multiple nights. If you have decorative pillows on the bed, have a place for your guest to store them; such as a bench at the foot of the bed or a basket. This will prevent the pillows from ending up on the floor. A bench can also double as a luggage rack. A side table will provide a place for your guest to charge their phones and place their jewelry and other small items. Consider a couple hooks on the wall or back of the door to hang items such as their purse, coat, and towel. Personal touches are thoughtful gestures that make your guest feel welcomed. Here are a few to consider. Fresh flowers, a welcome basket with toiletries and/or favorite snacks, reading material. A couple water bottles, so your guest do not have to walk to the kitchen in the middle of the night if they get thirsty. 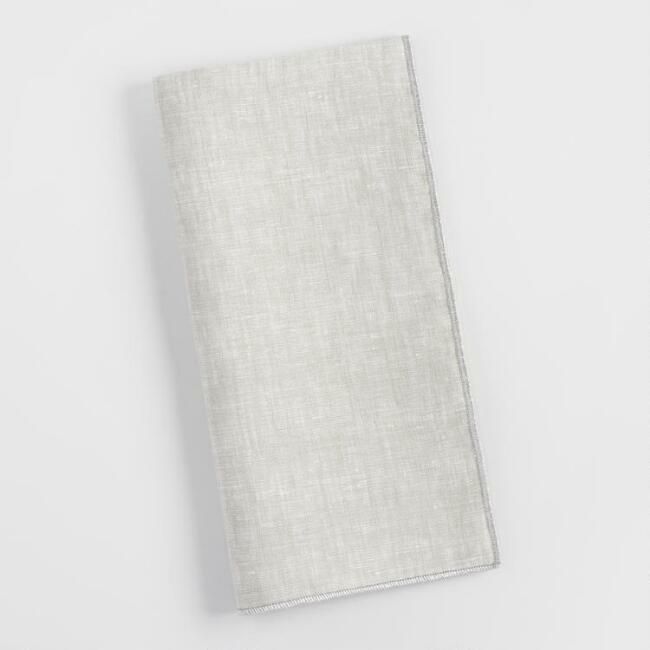 It is also helpful to place towels in the room for your guests so that they do not have to rummage for them or come find you when they are ready to shower. With these eight essentials you are sure to have an inviting guest room. Large wall mirrors can make a bathroom feel bigger but they tend to be pretty boring. If you are like the many who have these ubiquitous mirrors and have been considering ripping them out, try layering a decorative mirror on top. It elevates the look without breaking up the expansive feel that the larger mirror provides. Plus, it saves you from needing sheet rock repair work. The images below take it a step further by installing sconces on top of the wall mirror as well. Not only does it make it more interesting, but it reflects more light into the room. My husband and I recently hung a series of frames on a tall wall in our living room, and every time I walk by them, I smile. It made SUCH a huge impact on the room. The right artwork and frames can do just that—completely transform a space. One type of framing that I’ve been swooning over for awhile now is acrylic frames. They are so understated (letting the artwork take center stage) while also being complete showstoppers because of their uniqueness. There are several tutorials for DIY versions online, including this one showcased on Home Depot's website, but you can also buy ready-made kits. Custom framing doesn’t ever come cheap but these are actually pretty reasonable considering the size you can use—Home Depot has sheets as big as 4x8 ft. Talk about a statement piece! But if you do prefer to have the work done for you, Highland Hardware on Etsy is a great place to look. They also sell the bolts needed, if you go the DIY route, in various finishes. Acrylic frames are great for keeping wallpaper uninterrupted. I contemplated framing a dress that belonged to me as little girl in an acrylic frame for Auden’s nursery a couple of years ago but in the end decided to use what I had on hand. Now that baby number 2 is on the way, the idea is back in full force. I think it would make such a beautiful piece in her room, especially on those charcoal slate walls. What do you guys think? What would you frame in your acrylic piece?